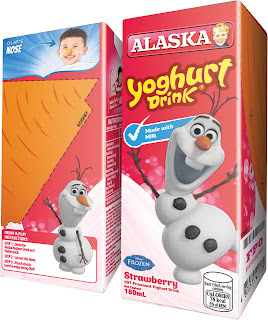 One of the many things my kids ask me to buy for them in grocery, aside from their usual snacks like cookies and snacks, is the Alaska Yoghurt Drink. They knew which aisle in the grocery to get them! They really liked it that much! My kids were really sold on Barbie and Hot Wheels characters on the tetra pack! Haha! 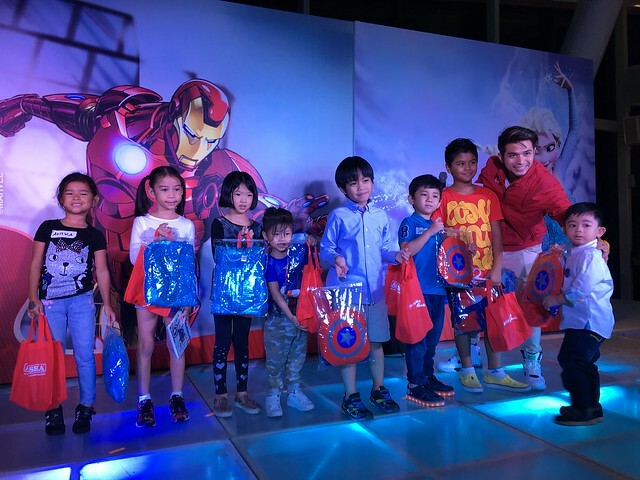 Now, my kids L-O-V-E Alaska even more because of the Frozen characters and Marvel superheroes theme! Bought the popsicle maker at Daiso just a week before! 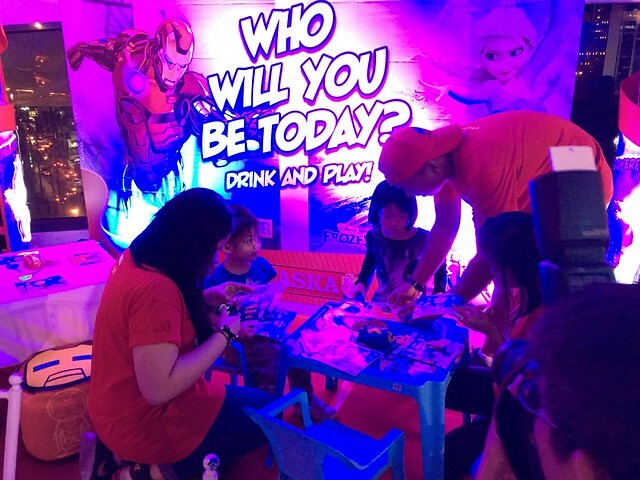 A few weeks ago, I took my kids with me to the launch of the collaboration of Alaska Milk Corporation and Disney and their "Who will you be today?" campaign for kids. It was also my first time to take both kids to an evening event. I thought they would find it boring but they actually had fun and won prizes! 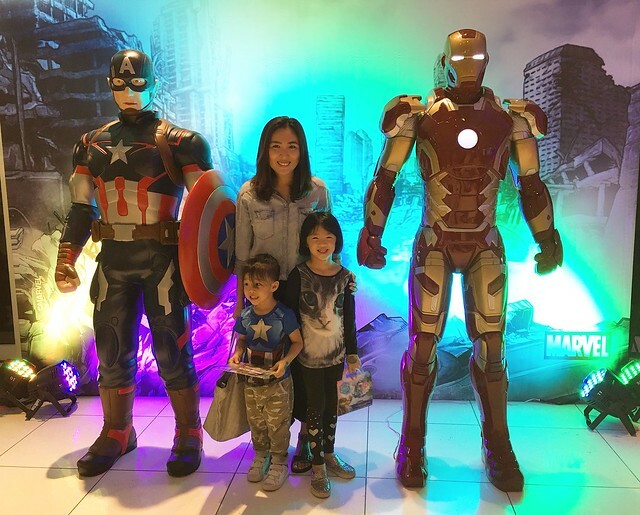 We had our photo taken with Captain America and Ironman! Ang tangkad nila! Heehee! If you must know, Y was in all black because she's Black Widow daw. 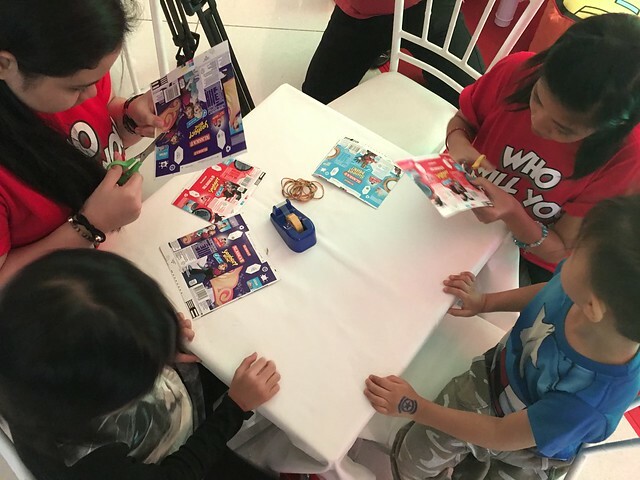 During the launch, there was a kids section where the kids get to choose who they want be. They were given of what looks like the drink but printed in a flat thick paper and each drink and character has their corresponding accessories! This can be found at the back of the drink. 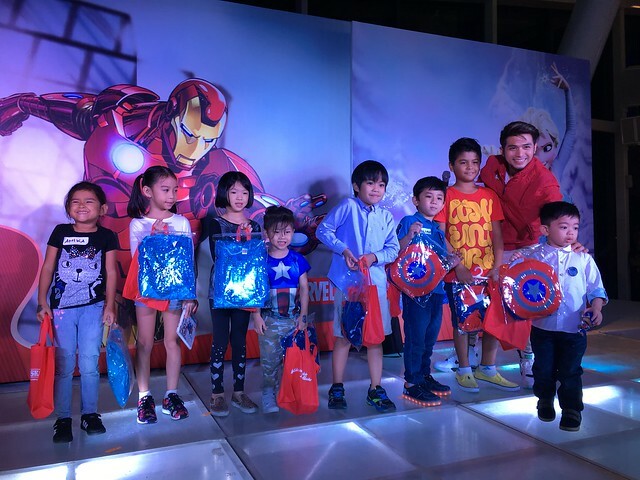 There's Ironman's mask or repulsor ray, Spiderman's mask or web shooter, Queen Elsa's crown and more! Thank you to the Ates who helped Y and R cut their accessories! My kids had fun playing with the other kids at the event! Alaska has been a strong advocate of healthy child development ensuring every child gets proper nutrition! Mommas, rest assured that Alaska Ready-To-Drink Kids milk is healthy and nutritious for our kids. 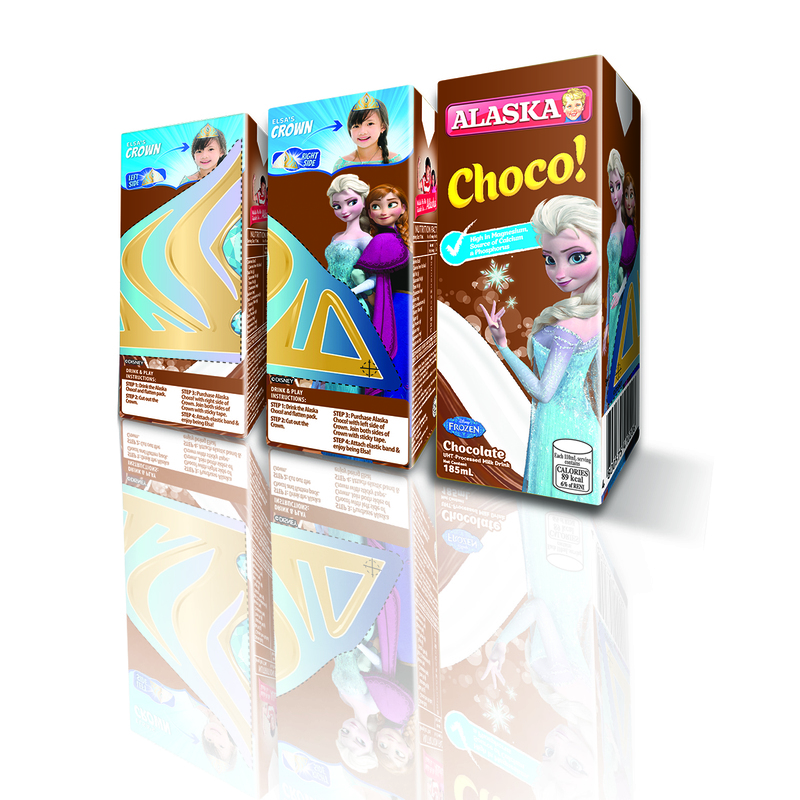 Alaska's Choco and Sweet Milk drinks have the essentials vitamins and nutrients that support you active kid's lifestyle! 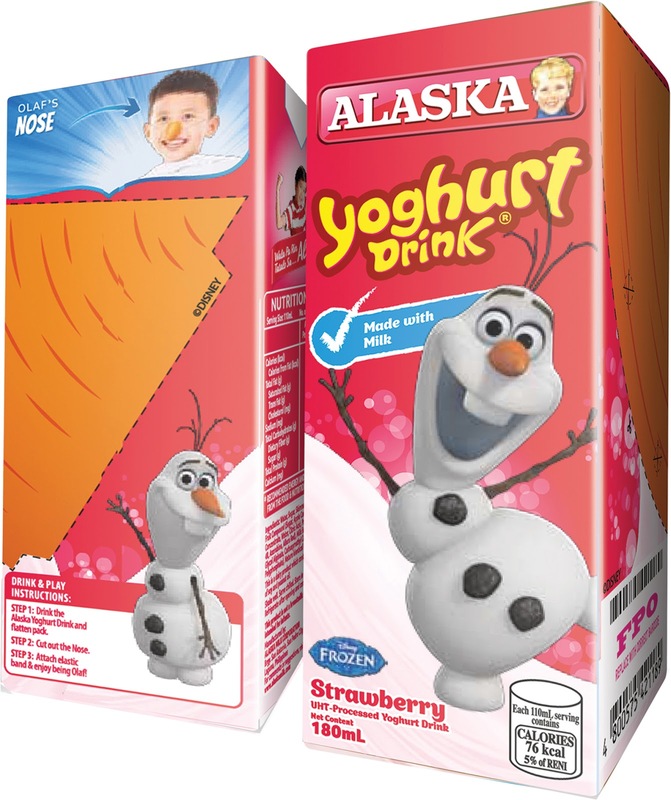 While the Alaska Yoghurt Drink contains naturally fermented good bacteria that aids proper digestion! The yoghurt drink comes in Blueberry and Strawberry flavors! During the launch, they held several easy games. I'm usually a party pooper haha but R wanted to win something. I think he's really a very competitive person! While Y is the shy type but I still got to encourage her to join and answer and she won a Captain America notebook! I wanted to win the Funko Pop but no luck for me! Haha! The last game they joined was what made my kids' night. 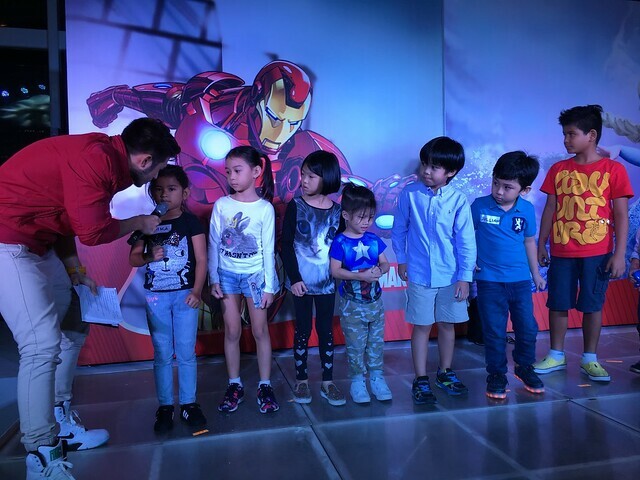 The host just asked them who's their favorite Disney or Marvel character and instant panalo na! Just look how thrilled my kids are especially the little boy! Haha! Y was super happy she got a new Elsa costume because her current one is small na! R got a Captain America costume but it's big for him so we'll keep it muna! 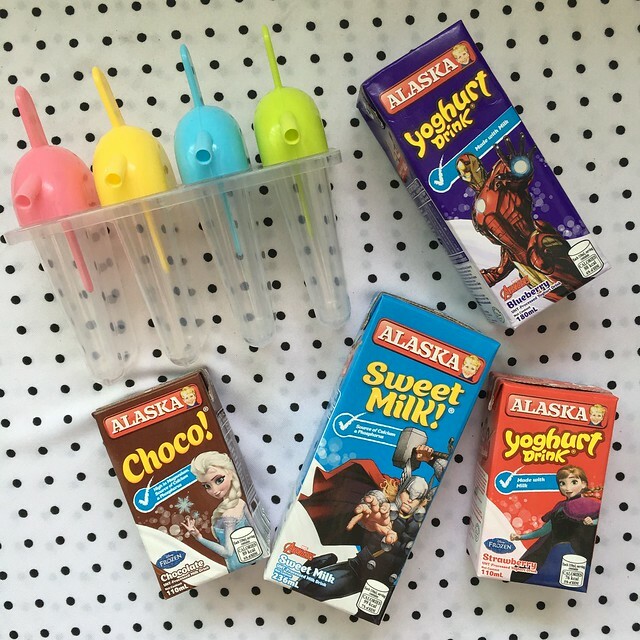 Alaska Milk Corporation focuses on nourishing and developing our kid's mind and body while Disney creates happiness and magical moments for our kids and family. 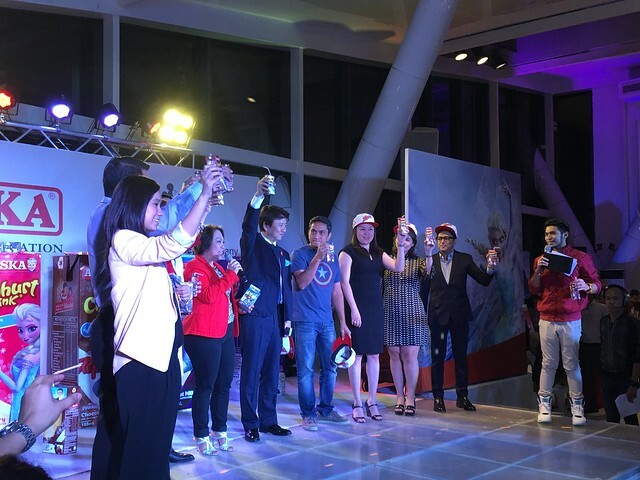 This collaboration aims to encourage healthy drinking habits among our children. Congratulations Alaska for this milestone! “This is the start of a long-term relationship with Disney. Our commitment in Alaska RTD Kids is for every kid to start with a nourished mind and body through our healthy and nutritious drink selection. 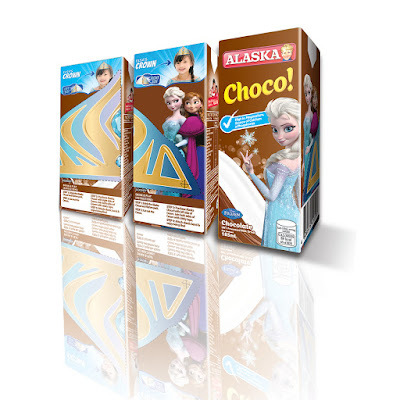 And our collaboration with Disney allows kids to be more creative and imaginative, which are essential building blocks in a child’s all-around development,” shares Blen Fernando, Marketing Director of Alaska Milk Corporation. My kids and their NFF. 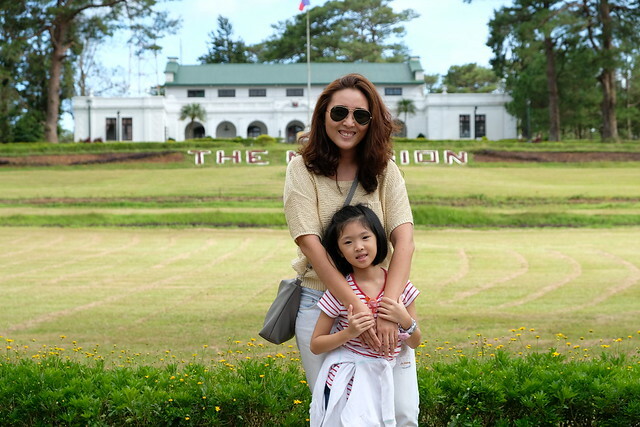 Hindi naman obvious that my kids are super happy noh?! Haha! And at the end of the launch, we were all treated to a last full show of Civil War! 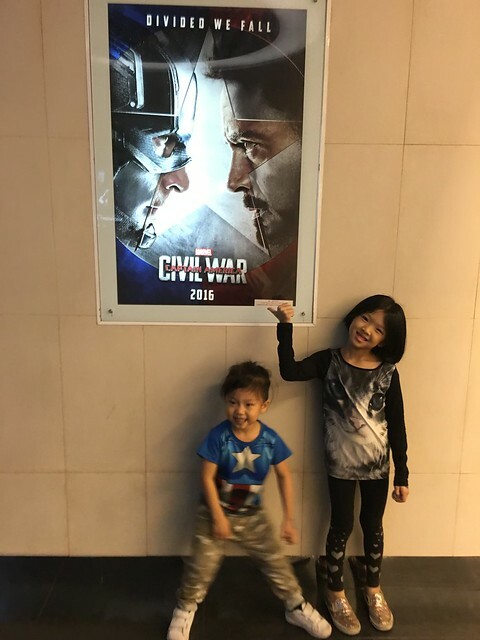 Were you Team Captain America or Team Ironman? The movie lasted until about 1AM! R fell asleep halfway through the movie while Y fought her sleepiness to finish the movie. Buti na lang she stayed awake, I don't know how will I go to the car pag tulog silang pareho! Haha! Thank you so much Alaska! 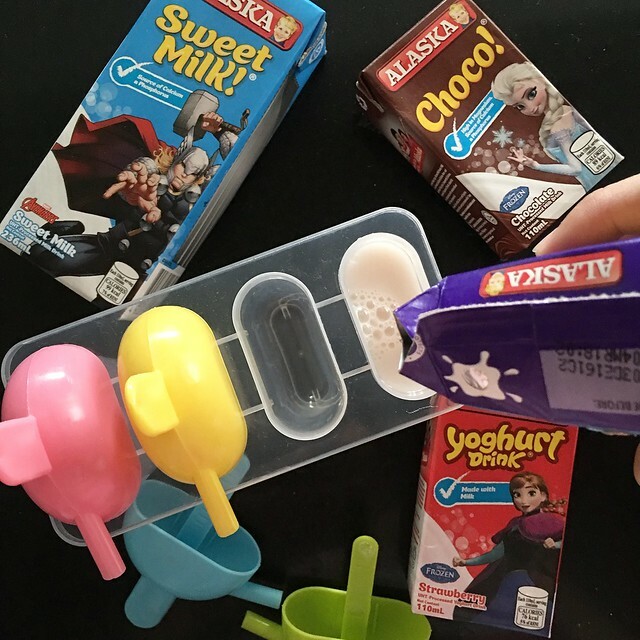 We took a lot of Alaska goodies that my kids asked for two packs a day and I also made them into popsicles just because ANG INIT! It's a healthier alternative to ice cream! Oh and school opening is just a month away and Alaska's RTD Milk and Yoghurt drink will surely become a staple baon for my kids! 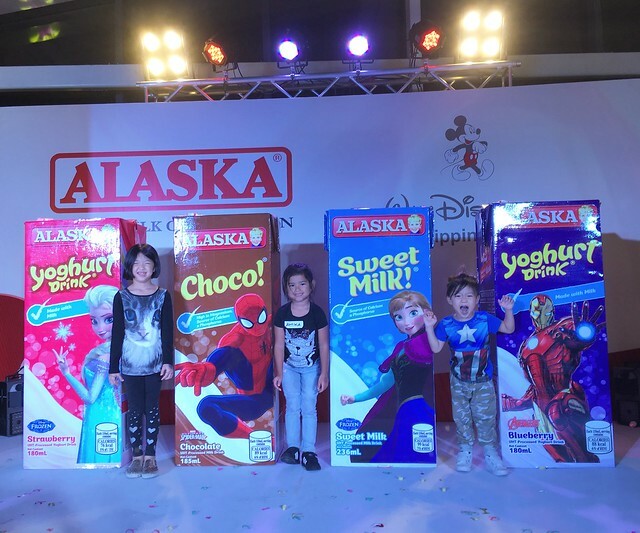 Alaska Ready-to-Drink Disney and Marvel themed milk and yoghurt drinks are now available in leading grocery stores and supermarkets nationwide! All milk and yoghurt drinks are comes in 236ml, 185ml, and 110ml packs.